Discourse analysis and rhetoric are very much developed in communication, linguistics, cognitive science and artificial intelligence. Besides theoretical investigations, discourse analysis is central in a number of application areas such as dialogue and negotiation, the semantic web, question answering or authoring systems. Music is also a natural language, more abstract and mathematical, which follows very strict construction principles. However, there is very limited and no recent literature on Music Discourse analysis using computational principles. 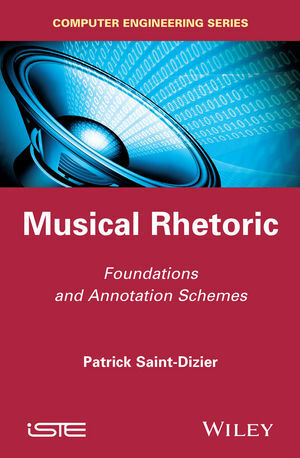 This book aims at developing a central issue in musical discourse: modeling rhetoric and argumentation. It also contributes to the development of high-level multimedia annotation schemes for non-verbal communication. Patrick Saint-Dizier, Senior researcher at CNRS, Toulouse, France.